DECEMBER 27th 2018 7:00-9:30pm | West Hollywood. A MENS ONLY PANEL DISCUSSION & COGNAC TASTING ON SELF DETERMINATION TO BECOMING A SUCCESSFUL ENTREPRENEUR. 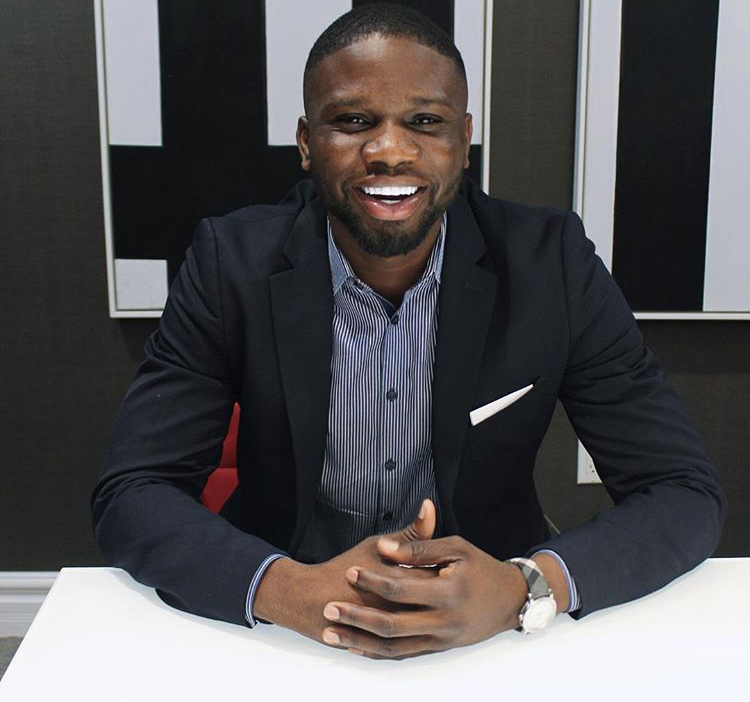 Luke Lawal Jr. is CEO and founder of L & Company, an integrated marketing and consultancy agency, currently based in Los Angeles, California. Having founded and established a diverse portfolio of business ventures by the age of 28, Luke is passionate about entrepreneurship, specifically amongst young professionals and giving back to his community in an effort to grow the next generation of leaders. Today the young CEO and entrepreneur is focused on his next business venture, Taper, an app designed to change how hairstylists and barbers engage with their consumers. Luke is also a Master Mason and a proud member of Omega Psi Phi Fraternity Inc.
Karim Webb is a twenty-five year veteran of the restaurant industry and graduate of Morehouse College. In his current position as Co-Owner and Operations Partner of PCF Restaurant Management, a Los Angeles-based franchisee of Buffalo Wild Wings; he uses his expertise to oversee the development and operations for each restaurant. Beyond McDonald’s and Buffalo Wild Wings, Karim is on the Board of the California Community Foundation. He is also on the Board of Corporate Advisor’s for the Brotherhood Crusade, is Co-Chairman of the California Community Foundation’s BLOOM Advisor Council, as well as a Special Advisor to the Multicultural Foodservice & Hospitality Alliance (MFHA). Webb, also currently serves as Foundation Vice-Chairman of Greater Los Angeles African-American Chamber of Commerce (GLAACC), Chairman of the Los Angeles Southwest College Foundation, and is a Board member of both the LA Kitchen and the Living Through Giving Foundation: Hashtag Lunchbag. Through the power of creating excellent guest experiences, William P. Miller’s sense of style, knowledge of design, and “insider” entertainment contacts have all placed him in the upper echelon of the special events industry. Known for his creative vision, versatility and ability to execute, W.P. has traveled the world for the past twenty years, producing breath-taking events: from intimate receptions to spectacular galas and lavish weddings. A native of Chicago, W.P. is a graduate of California State University, Long Beach with a degree in Marketing and International Business. Deciding to pursue his passion for design, home entertainment, and orchestrating excellent guest experiences, W.P. founded his entertainment production company, “W. P. Miller Special Events” in 1999. The company has grown to become a highly sought-after “one-stop-shop,” handling all aspects of event production earning the trust of well-known celebrities, politicians and respected corporate leaders. Michael Ferrera is the Founder and President of Michael Ferrera Custom Clothing, a bespoke clothier for business professionals, athletes & entertainers. As an educator and consultant Michael Ferrera is the author of the book series titled The Perfect Gentlemen’s Pocket Guide, an Amazon Best Seller, to be the perfect gentleman in life’s awkward situations. Mr. Ferrera is a financial investment advisory turned fashion designer who has been a fashion designer since we was a child and has been designing professionally for over a dozen years. The Michael Ferrera brand is Mr. Ferrera’s second clothing company after he started his first casual T-shirt line while in college at UC Riverside called Maestro Tech. After graduating with a business economics degree and attending fashion design school, Michael elevated his design aesthetic to mature with his growth over time. Michael Ferrera Bespoke now specializes in one on one personal service to create the perfect fit bespoke suits, custom shirts, custom-made shoes and accessories for gentlemen who want to look and feel their best. President of The Original Mobile Barbershop Co, Julian Payne is a twenty plus year Master Barber innovator and pacesetter in the barbershop/salon industry. More than a mere barber, the master barber stylist is an artist, educator and entrepreneur.